Sure I went through a Goth-ish phase in my 20’s, but it was more Johnny (Depp) & Winona Forever (They dated back in the early 90’s! And their style as a couple was eclipsed only by that of Johnny + Supermodel Kate Moss in the mid 90’s.) than Winona in Beetlejuice or Johnny in Edward Scissorhands. So, of course during that time, I also dated a guy who smoked clove cigarettes, fancied himself cut from the Johnny mold, and fan boy’ed over Edgar Allan Poe. 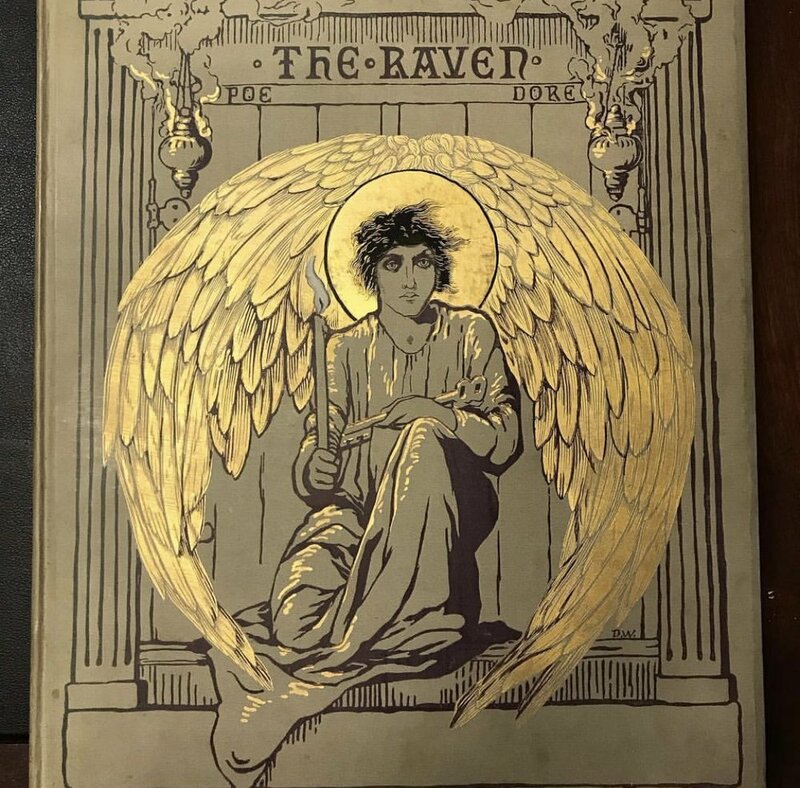 Now the only things from those days that still hold any interest for me are probably finding the perfect pair of vintage Levi’s and Poe’s life, especially the Providence years. If you too are curious about EAP - and have always wanted to drink Edgar-inspired cocktails while enjoying a string trio and a spiritualist photobooth in the same exact space where he wooed Sarah Helen Whitman (“We loved with a love that was more than love.”) - then you may want to get your hands on tix to the upcoming “A Midnight Dreary” coming up on January 31st at the ATH (aka, Providence Athenaeum). That’s right, on the 31st the folks at the PVD ATH will be raising glasses and toasting the life and legacy of Edgar Allan Poe with a whole host of terrif things including not only a live performance of “The Raven” (that they’ve teased on their IG will incorporate multiple actors, special lighting and sound, music, and more), but everything your inner-Doc-Martin-wearing-angsty teen could possibly want from such a shindig. Helloooooo, tattoo parlor (Remember tho that Johnny had to have his “Winona Forever” tat on his upper right arm turned into “Wino Forever.” Cautionary table…although I’d bet dollars to donuts the tattoos in question will be the temporary variety. ), “magical gin” (Johnny would approve! ), seance table, and any other details + decorations that go into creating a “gothic wonderland” (their words). For additional info about this event that benefits the Athenaeum and its collections, and to secure tickets, click here. Photo Credits: Poe photo used with permission and licensing from Getty Images/I-Stock. Additional photos from the PVDATH Instagram.